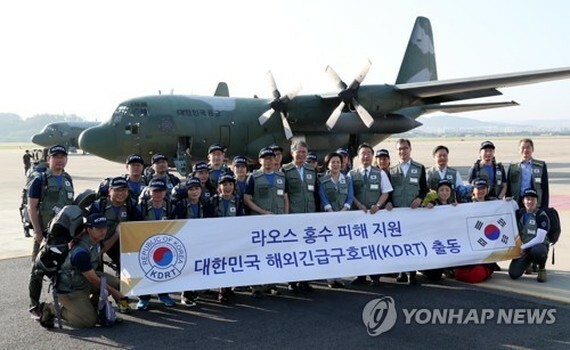 A South Korean medical team left for Laos on Sunday to assist with recovery from the deadly flooding that resulted from the collapse of a dam that was under construction by a Korean builder, Seoul's foreign ministry said. An emergency relief team composed of 15 medical personnel and five support staff embarked on a 10-day mission to treat displaced residents in southern Laos and prevent the spread of contagious diseases, it added. In rescue efforts, the government will provide US$500,000 in cash and $500,000 worth of materials to help Laos recover from the disaster.